Now you can stop looking for your favorite appetizer recipes! We got you covered offering you the all time party favorites. 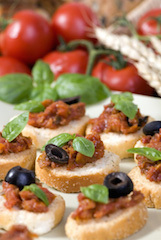 Appetizers sometimes called finger foods, party foods, or snacks are a must have at your next event. You can serve appetizers during holiday events, parties, or social gatherings and they'll surely keep your guest satisfied until you're ready to serve up dinner. What I like most about appetizers is that they are easy to prepare and you have hundreds off options to create them quick and easy. Whenever I have over guess I will you prepare them after everyone arrives because I have found that most people love to come into the kitchen and watch as I prepare some delicious appetizers. 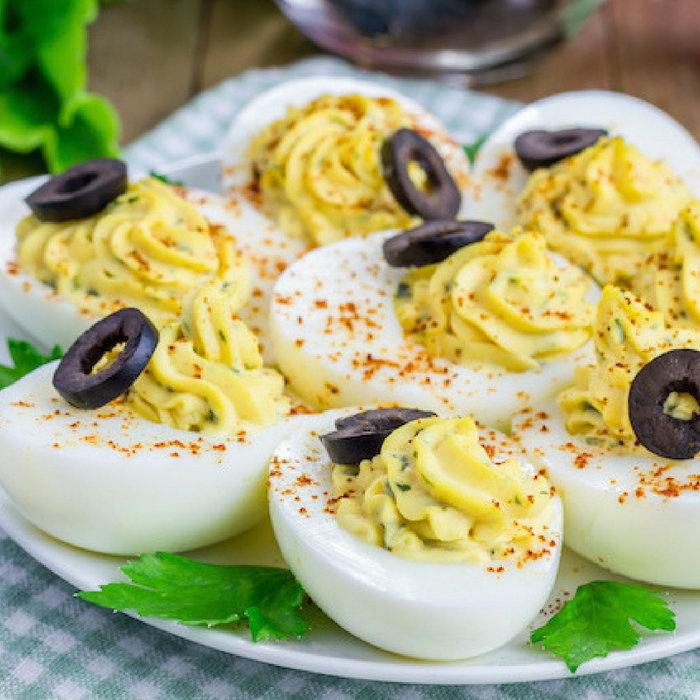 Here are some quick and easy recipes for our all time favorite, soul food appetizers. Try out this quick and easy seven layer bean dip recipe. This recipe can easily be prepared and serve as a nice appetizer before the main course meal. 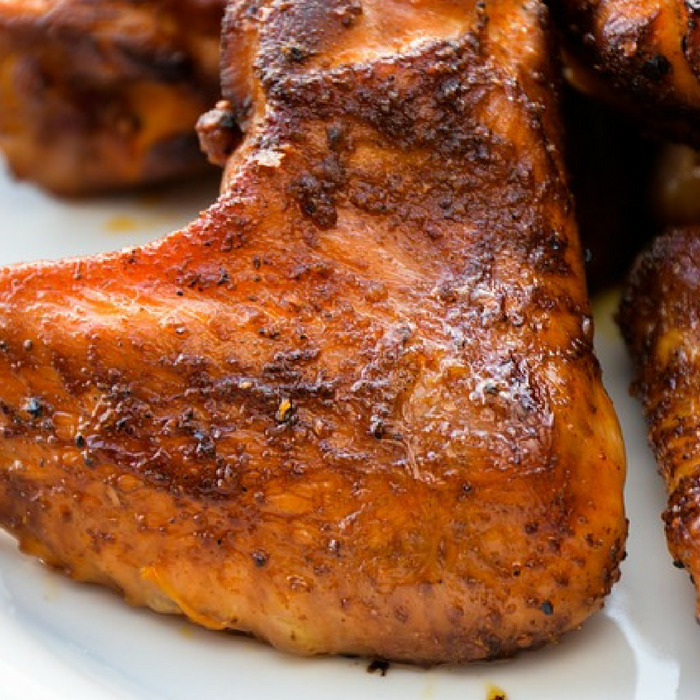 Here is a quick and easy honey key lime baked chicken wings recipe for you to try out at your next party event. They'll love these wings. This hot and spicy bean dip recipe will be the talk at your parties. Serve it while it's hot. Tasty BLT dip recipe for your next social event...a crowd pleasing appetizer recipe. Be prepared to make copies of this recipe to give out to your friends. Use this quick and easy bologna spread recipe to make a delicious bologna sandwich out of leftover bologna or ham. 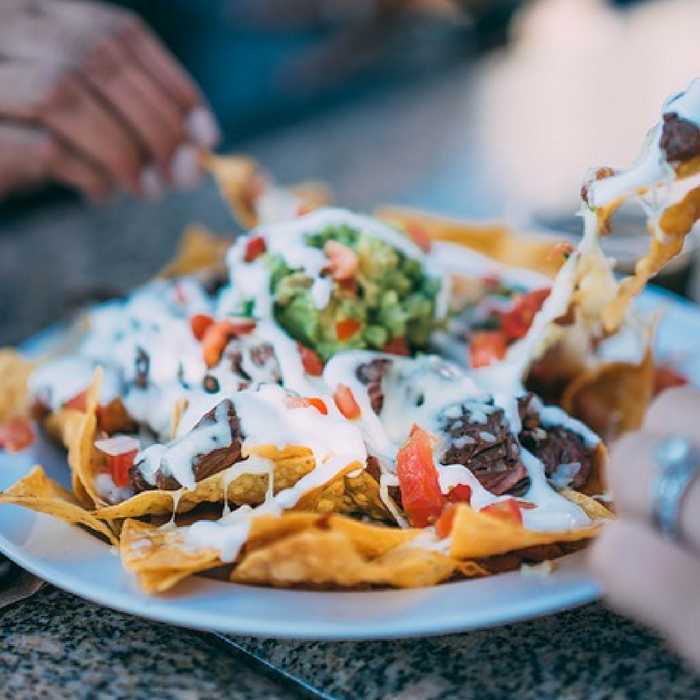 This nacho recipe is a party favorite. Also works well as a great snack on family movie night. 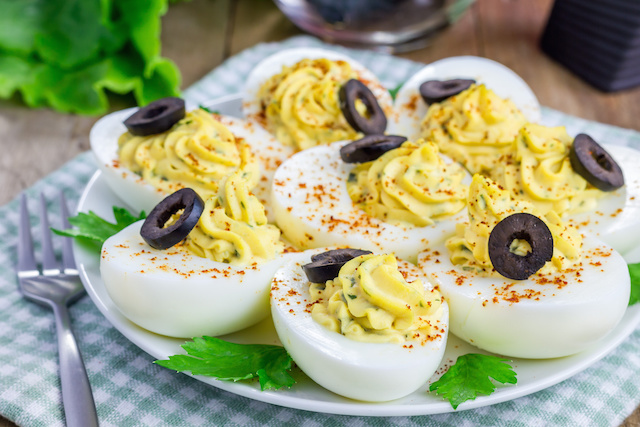 This deviled eggs recipe is a great starter for your next barbecue, family gathering, picnic, baby shower or soul food party. Serve your fresh cut veggies with this creamy onion dip recipe for a delicious and healthy snack. One taste and you'll be hooked. They're so delicious you'll either love them of totally dislike them. Don't hesitate to make this tasty snack food. Use your favorite cheese and roast beef deli meat to create some deliciously tasting roast beef wraps. Turn your can of spam into a delicious meal by preparing this quick and easy spam salad recipe, that you're going to love eating. 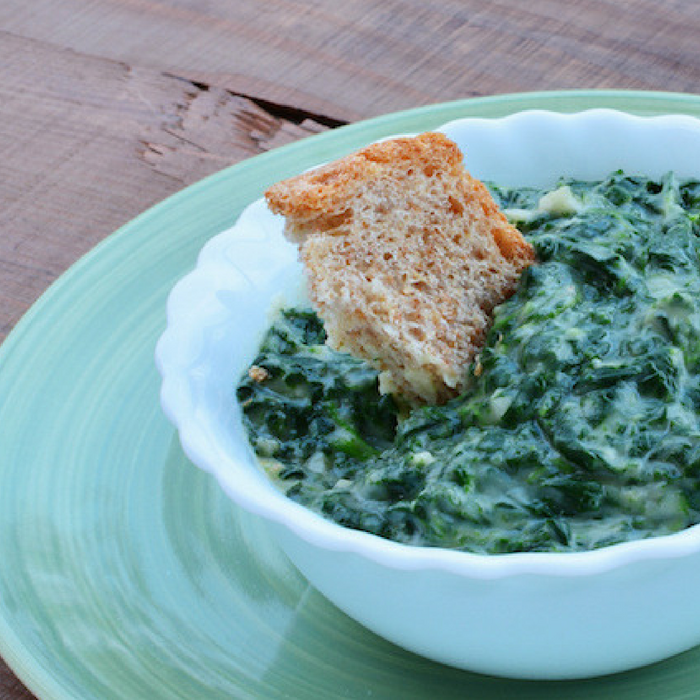 Time to party with this quick and easy spinach dip recipe. I always say the party doesn't start until you try this dip recipe. Before you leave we want you to check out these summer appetizers and also download all of your favorite soul food recipes.